If you’ve been looking for the best, you’ve found it. At Green Demolishing, we understand that the key to success is working together, this is why we not only guarantee to satisfy our clients’ needs we also minimise any disruption our services could cause for neighbours and the environment. This is done by working within the permitted times, adhering to health and safety procedures, recycling any reusable materials wherever possible to effectively reduce landfill and much more while undertaking rubbish and soil removal. 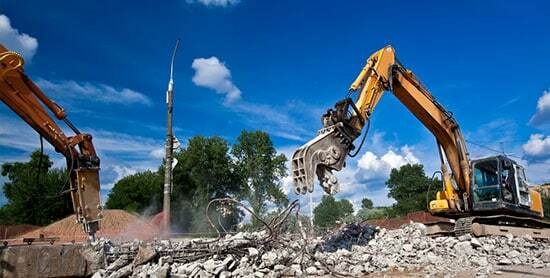 Why choose us over other demolition and excavation companies? Each member of our team is committed, experienced and passionate about their job. We strive to be the best at everything we do and to continually achieve outstanding results for you. Our reliability, sustainability and green approach is what makes us Melbourne’s preferred excavation and demolition company for all project types, including commercial as well as residential and much more. To learn more about what we do and what sets us apart from other residential and commercial demolition and excavation companies across Melbourne, why not get in touch with us today? We’ll gladly discuss the job you have at hand, and will provide expert advice and a tailored package to suit your needs. Our customer service is second to none and our prices are highly competitive, so have a chat with us and find out how we can simplify your life! We’re available to be contacted via phone on 03 9804 8597, and our friendly and helpful staff will happily answer any and all questions you may have. If you’re pressed for time, you can alternatively fill in your details into our online inquiry form and we’ll make sure to get back to you as soon as possible. with us today to discuss your demolition needs. © Copyright 2019. Green Demolition | All Rights Reserved.